My husband works busy and crazy hours. There are sometimes he is out of town, is gone all day, and works late into the night. We have a pretty good schedule, but there are some nights I need some serious me time! I love to take a hot bath, get in my comfiest pj’s and then crawl into bed with my favorite treat, and a good movie. Disney/Dreamworks Pictures’ “The Light Between Oceans” was what I needed for a nice relaxing night in by myself. The Light Between Oceans is now on Digital HD Blu-ray DVD and On-Demand. It is such a great chick flick, but it is a movie I also think my husband would like too. This movie is such a beautiful love story played by two great actors. I was so impressed by the acting in this movie, Michael Fassbender is a two-time Academy Award® nominee Michael Fassbender, Alicia Vikander is, and Oscar® winner and Rachel Weisz is an Oscar and Golden Globe® winner. Together they share an incredible story of love and relationships. 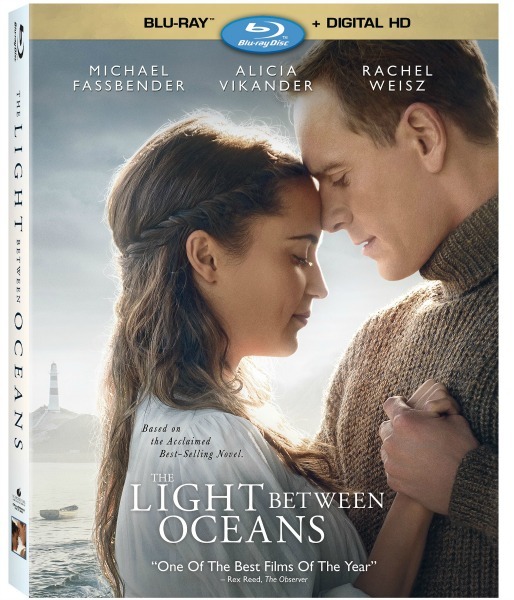 “The Light Between Oceans” is based on the 2012 best-selling novel written by M.L. Stedman. I have it on hold at the library now because of how much I loved this movie! If you are looking for a great romance movie “The Light Between Oceans” is an excellent choice. It is such a beautiful movie that will bring you to tears. “The Light Between Oceans” will be a movie I watch again and again. You can find it on Blu-ray, Digital HD, and DVD at Amazon, Target, and Walmart. I remember hearing about this when it came out, but I never got to see it. It sounds like a really good, grown-up oriented movie. I have never saw anything about this movie, but I love reading I will definitely be picking up the book, I am so bad about having to read before I can watch the movie. I’ll put it on hold at the library. Looks like a good movie. I haven’t seen this movie yet but I’d love to watch it soon! Sounds great!! I’ve seen good reviews on this movie. I am going to see it.